The ultimate vacation and any surfer's dream! 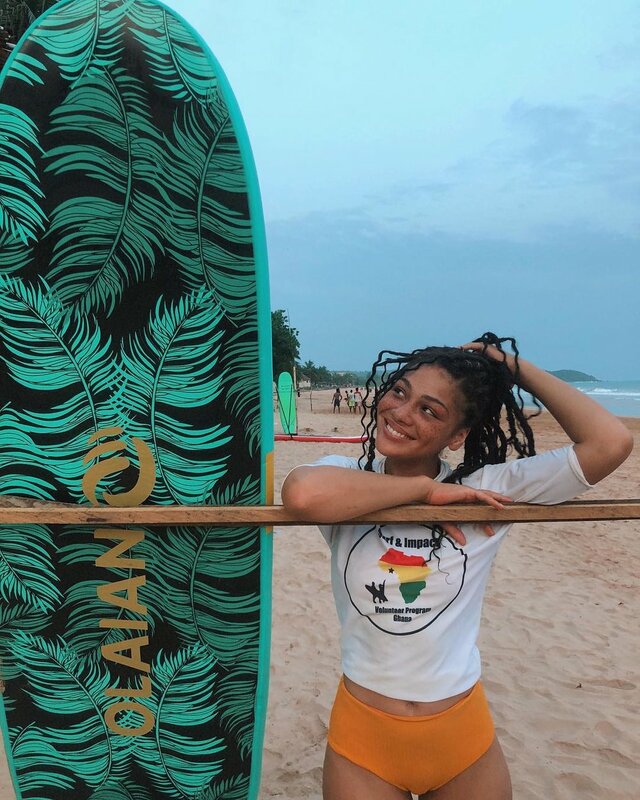 Learn how to surf in one week with daily surf lessons, stay in comfortable rooms right on the beach, explore Ghana's palm-fringed beaches, traditional villages and old colonial castles with other likeminded surfers and adventurers. Ahanta Waves has a Surf School right in the middle of Busua beach. Here, you can rent surf boards in different sizes and get surf lessons on beginner and intermediate levels. Our instructors are skilled surfers with many years of teaching experience with lifeguard- and first aid skills. If you are looking for an unforgettable experience, the Surf Trip is your choice. During 9 days we will take you around the coast to the best, secret surf spots. Warm, uncrowded waves are waiting for you. Do you want to explore winding roads through rainforest and hidden point breaks surrounded by lush forests? Look no further!